This scarf is worked in one piece. 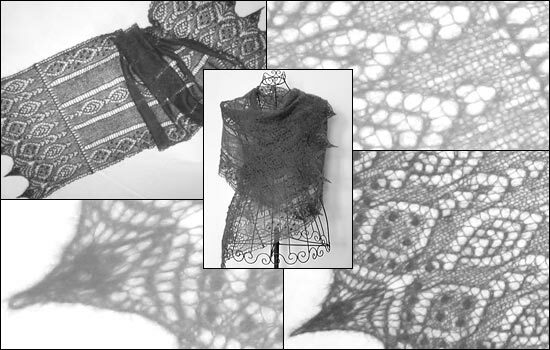 is added to the cast-on edge as well as the bind-off edge. The pattern at the left and right side of the scarf as well as the edging is enhanced by nupps. If you don't like to knit nupps, you may substitute them by bigger beads. *BizzyLizzy* is adjustable in the length and in the width.